Rumors of a “Facebook Phone” have been making rounds in the rumor mill for years, with many believing that there is a gap in the market waiting to be filled for a strong social media-powered smartphone. And today, HTC took the wraps off their HTC First Android powered smartphone which will come laced with Facebook Home right out of the box. We got all the details right after the break. The new handset, while a relatively middle-of-the-range smartphone that misses many of the bells and whistles found on newer devices, is powered by Facebook’s new custom home launcher Facebook Home for Android. Home attempts to set a different trend in mobile device design, replacing traditional “apps” with an immersive experience that makes the activity of the user’s friends front and center. Indeed, from unlocking the phone to sending messages, Facebook is at the center of this new phone. Under the hood, the HTC First is a relatively low-end Android smartphone. It comes with 1GB of RAM, a Qualcomm Snapdragon 400 dual-core processor, a 5-megapixel camera on the back as well as a 1.6-megapixel camera at the front, which will be just enough for you to be able to have a quality video chat with your friends, or just sharing a quick photo of your meal from your favorite restaurant. In the display department, the First has a 720p display which scales to 4.3-inch diagonally, enough real-estate to quench your Facebook needs. Regardless, it comes built in with Android 4.1 Jelly Bean, a version of Android from last year, with all of the Google features you would expect, such as Google Now. The device will also be LTE-ready, taking advantage of AT&T’s 4G network and pulling really fast speeds. 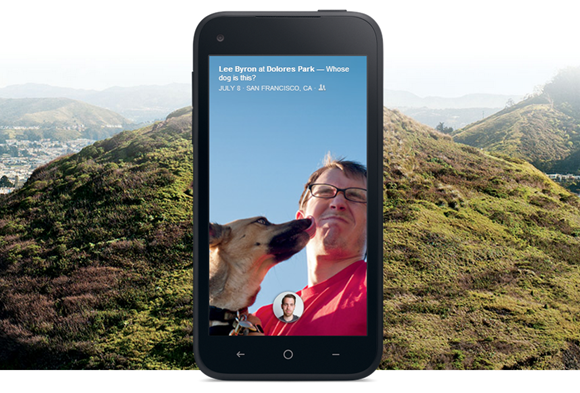 Despite the modest hardware specifications, Facebook is pricing this smartphone to sell fast. 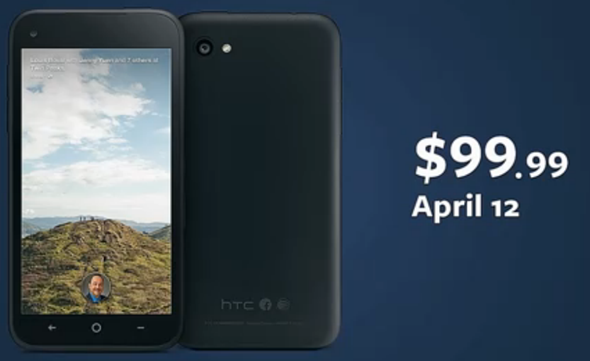 If you live in the United States, you will be able to get your hands on the new HTC First for $99.99, attached to a contract with AT&T, and will launch on April 12th, with pre-orders going live as we speak. 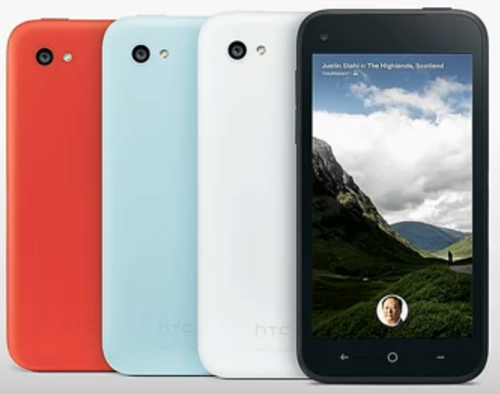 HTC First will be also available in the UK on EE, with pricing yet to be revealed. In Europe, the First will be available on Orange. The best part about the HTC First is that it will be available in a bunch of different colors, therefore it’s a plus point for those who like to have some flare on their smartphone. While this handset may not be the best option for Android power users, both due to the simpler Facebook Home user interface and lower hardware specifications, it may just be the right choice for those purchasing their first smartphone, or, of course, Facebook junkies. Both Facebook and HTC are very strong and recognized brands which will surely continue to be popular with customers. What do you think? Will the new HTC First take the market by storm or will it remain a niche product? Let us know in the comments.